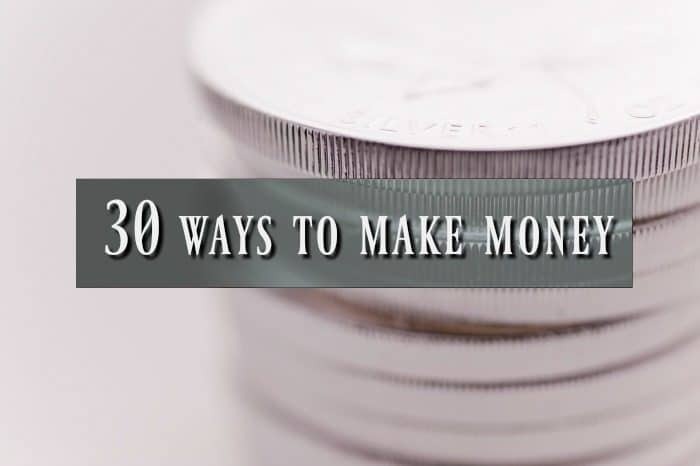 30 Ways to Make Money…. 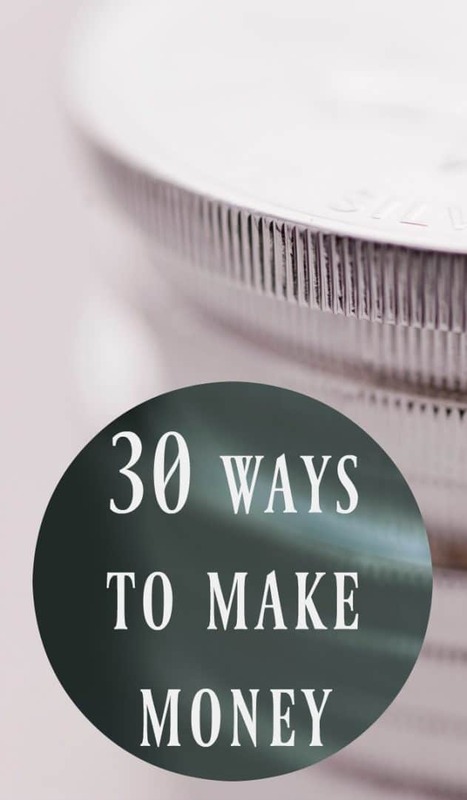 One of the most popular posts on my blog has always been my 50 ways to save money post and I love some of the lovely emails that you guys have sent me after you’ve read it and started to implement some of the ways to save into your lives. I’m pretty sure it’s not going to be as impressive as the 50 ways to save post and that I’ll only get up to about 10 or so (if that) ways to make money but let’s give it a go. 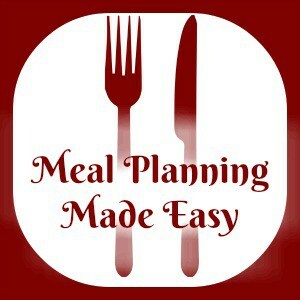 Here’s the ways to make money that I’ve tried and/or written about…. Have a car boot sale – De-clutter and make money all at the same time – it’s a win, win situation! Make money every time you spend online by using cashback websites. Use Facebook selling sites to sell items locally. Make sure you read these 10 amazing money saving websites so you’re always getting new ideas to make money. And while you’re at it, subscribe to my favourite money saving bloggers too because if there’s a new way to make money, these guys will find it. It’s worth seeing if you could make money from your old tax disc – you never know! This one could be a bit controversial but if you have any unwanted gifts in a cupboard or drawer somewhere then get them ou, dust them off and sell them. What about using Zeek to buy a discounted gift voucher? 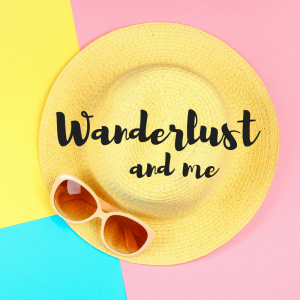 As soon as you sign up using my referral code we both get a £5 credit so if you know you’re going to buy something anyway then sign up and make some money. Then use your referral code to get your friends to sign up and make even more. Just download the app and enter the code 2DFEHC into the promo codes section. You could make money from your old clothes too, not much but it all helps. Did you know you could also make money from your car when you’re not using it? It’s definitely another one worth looking into. Review things you already own and you could make money, again it’s not much but a little time every now and again and it will soon build up. I’m going to try and get this post updated soon as it’s a few years old but don’t forget that eBay is a great way to make money still. If you have any old mobile phones, gadgets or computer games lying around then you could make money selling them. Sort out that handbag and shoe collection and get rid if anything you haven’t used recently. You could sell something you’re good at – whether it’s a service (cleaning, ironing etc) or a product then there could be a demand for it. Start a blog! Please,please, please don’t do it just to make money though as it’s not going to happen right away and there’s a lot of hard work to do before you’ll be able to make money. Write your own Kindle eBook and publish it. Mine’s available to buy and although I don’t make much at all from it, I do enjoy seeing the few pennies that I do make and reading the lovely reviews left. And a few things I haven’t tried yet but they’re on my list to try so I’ll update with links as soon as I have more information about my success with them…. I need to investigate using these apps that give you cashback when you scan your receipts. Join Fiverr and sell some gigs – not sure what I could do here but I’m going to give it a try. Mystery shopping is something I did years ago but I’m going to try it again to see whether it’s a good way to make money. Are you a great photographer? You could make some money selling your photos. And a few that I won’t be trying but they could be right for you…..
You can get paid reasonable rates to be an extra on TV if you can get the work. One I’m not qualified for but you might be – could you be a tutor? What about babysitting, dog walking or even dog sitting. Can you sing or play a musical instrument? Then busking might be for you although I have no idea how to get the right permissions to do this. Phew, I managed to get to 30! 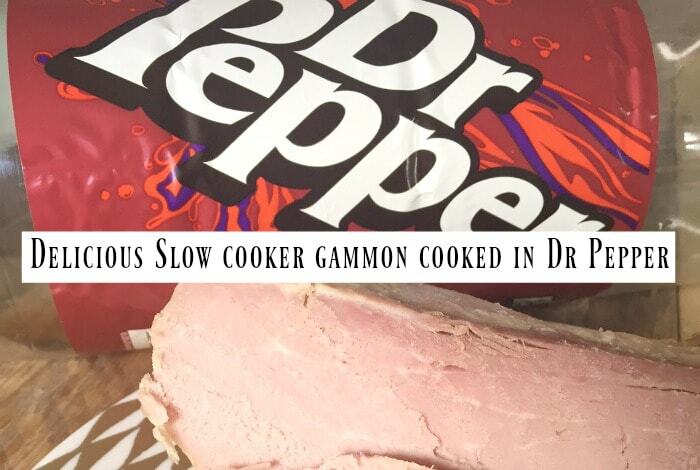 Delicious slow cooker gammon cooked in Dr Pepper….